1 Day 1 Night Cappadocia Tour from Istanbul: It is an opportunity of the joining to the hot air balloon flight and taste of the Cappadocia. 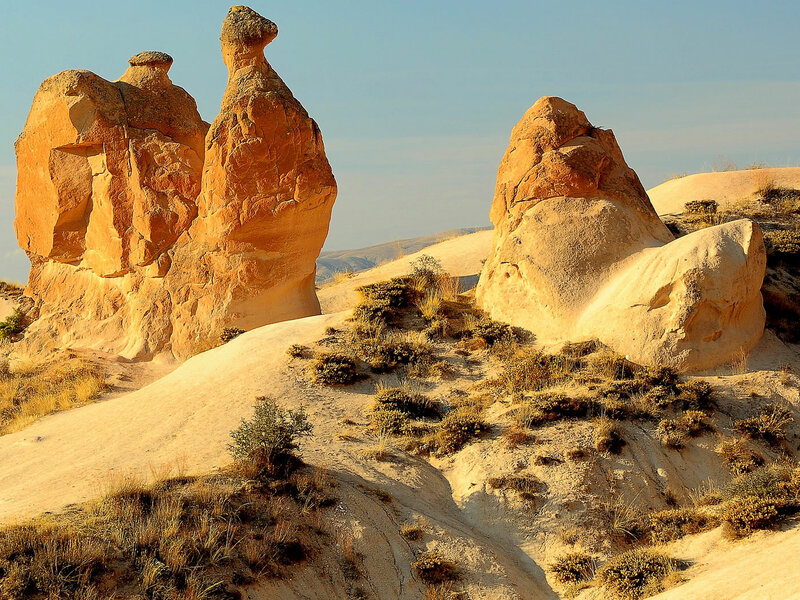 The 1 day 1 night Cappadoci tour package from Istanbul is one of the shortest tour package to Cappadocia, but the excellent for the visitor who has also short time and want to discover the natural beauty of Turkey. Me and my family we joined to 1 Day 1 Night Cappadocia Tour by landing to Istanbul and continue to Cappadoci, it was excellet for us because, we landed late in the afternoon and without loosing a day continue to cappadocia and visited Cappadocia as we wish and return to Istanbul next day evening. Everything was excellent. Thank you. 1. Night - Istanbul To Cappadocia. : Transfer To Airport. Fly To Cappadocia. Arrival And Transfer To Hotel. Overnight in Cappadocia. 1. Day - Cappadocia To Istanbul. 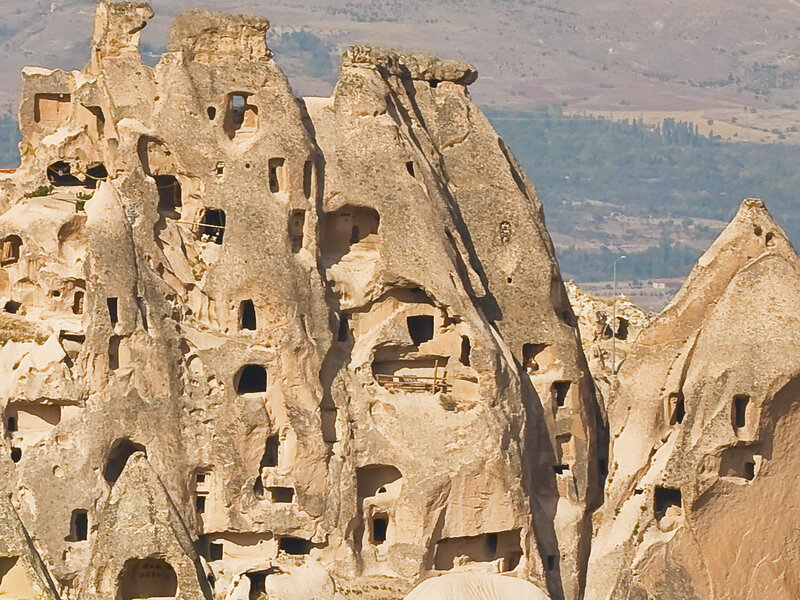 : North or South Cappadocia Tour. Transfer To Airport. Fly To Istanbul. Transfer To Hotel. 18:00 - 18:30 AM Depart from hotel to airport in Istanbul to fly from Istanbul to Kayseri. 21:30 - 22:30 AM Arrival and Transfer to hotel. Check into Hotel. 09:30 AM Depart from hotel for Cappadocia tour with pick up service. During the Cappadocia tour which is about 7 hours, there will be visiting from 09:30 am to 16:30 pm..! 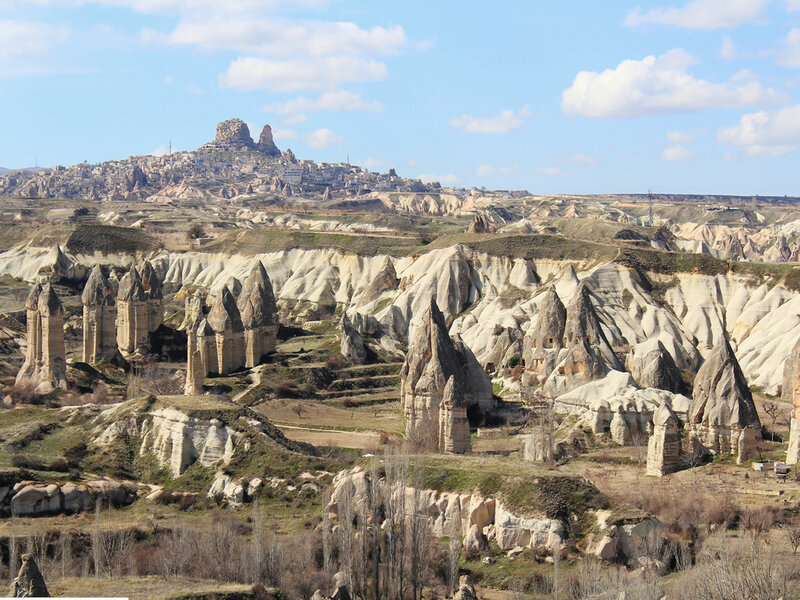 Visiting North of Cappadocia : The Dervent Valley, Pasabag’s “fairy chimneys, Avanos, Goreme Open Air Museum, Uchisar Rock-Castle. Visiting South of Cappadocia : The Red Valley, Cavusin Village, Great Pigeon House, Kaymakli Underground City, Ortahisar Catle. 16:00 - 16:30 PM At the end of the Tour, you will be transferred to Kayseri airport to leave from Cappadocia to Istanbul. 17:00 - 17:30 PM Arrival to Kayseri airport. 19:00 - 19:30 PM Fly from Kayseri to Istanbul. 20:25 - 21:10 PM Arrival to Istanbul and Transfer to Hotel. Brief Info About the Place To Visit. 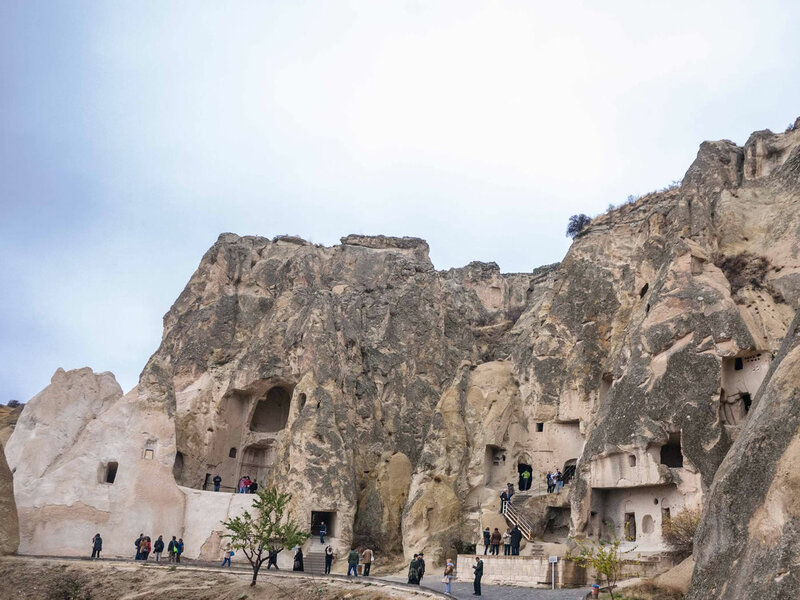 Uchisar Castle; is situated at the highest point in Cappadocia Many rooms hollowed out into the rock are connected to each other with stairs, tunnels and passages. Cappadocia is a district which covers four different city of Nevsehir, Kayseri, Niğde and Aksaray in Turkey and It is in the centre of Turkey. Why Should I Visit Cappadocia? 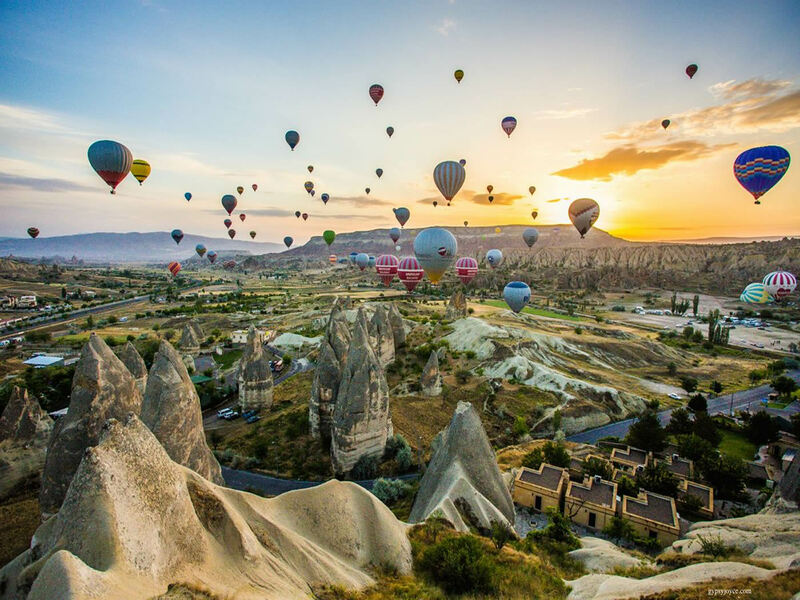 To Be honest, no need to look a the reasons, Cappadocia is A MUST see in Turkey and It should be part of any itinerary but, we want to inform you about some reason that you should consider. Here is the some reasons which take your attraction to visit Cappadocia in Turkey for your holiday. 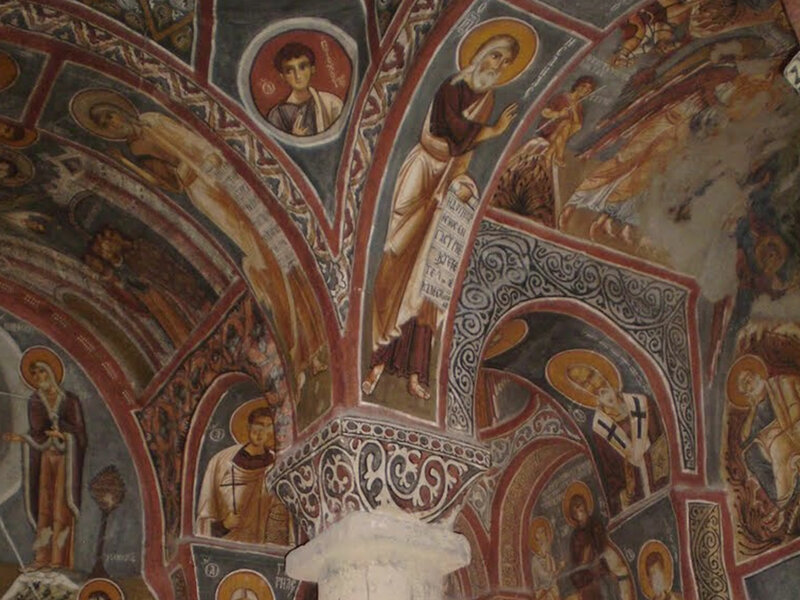 Goreme Open Air Museum is in Cappadocia and it is in UNESCO World Heritage List. Whole Cappadocia is like an open air museum by it-self. Sleep in a Cave that you will not be able to find it any other country, it is the speciality of Cappaocia. Old Turkish Villages are still existing. Experience Remarkable History and nature together. Local Cuisine and hospitality of people of Anatolia. The Sunrise From A Hot Air Balloon which covers all around Cappadocia. Hiking in Cappadocia that you will be impressed. ** If you like to visit the un-covered sites by the regular group tour of Cappadocia and want to add any of them to your Cappadocia tour , it is possible to modify the tour and add it to the sites as you will visit, by this way you have to make a private cappadocia tour from istanbul which has availability to be modified as you want and extend it for your wishes. Please List your wishes and let us know them then it is easy for us to organize your wishes. - 1 Full Day Cappadocia tour. - Hotel pick up and drop off for Cappadocia Tour. - 1 Day 1 night Cappadocia House tour package has walking and not recommended for the people who has difficulties with walking. -Hotel Lobby in Istanbul. (Hotel Transfers) are included from the central hotels in District of Fatih, Beyoğlu, Taksim, Laleli, Aksaray, Beyazıt). Me end my friend we went to cappadocia for a night and day, instead of Istanbul we spent our night in Cappadocia and enjoy more of Cappadocia. I highly recommend to everyone who is planing a day trip to cappadocia. It is much better then a day trip.